This season is everyone’s favorite for many reasons. Its charms makes everyone to wait for it the whole year. 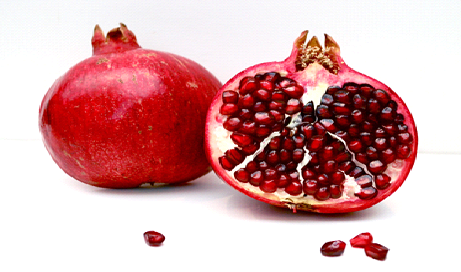 Pomegranate is one of those blessings of the present season which is admired by everyone. All that hard work you do to pluck the beans out of it that makes it even sweeter. Besides its taste and sweetness pomegranate also comes with a number of health benefits. We chose some of them to tell you. Learn about the health benefits of beetroot. Pomegranates are filled with vitamins. Vitamin C which is very essential for humans, one pomegranate fulfills about 16% of daily vitamin C requirement. If you are on diet then pomegranate is the best fruit you can have since it has zero cholesterol and very little fat. Zinc, phosphorus, calcium and magnesium are in a large quantity in them and if you have little knowledge on medical then you would know that how important are those elements for humans body. Pomegranate seeds hold about 80% of the total calories but they are also rich in fiber and proteins that need to be consumed. Bone structures are formed with the while in the metabolic process due to the presence of manganese and multi cellular functions are handled by potassium. Consuming pomegranate daily can save you from free radical damage, cancer and sun burn. Pomegranate can remove wrinkles, lines and any other aging factor that show up with the growing age making you look young and smart. Provide your children with a glass of pomegranate juice if they are lazy to eat. Studies show that they are great in increasing the appetite making your children feel hungry for food.